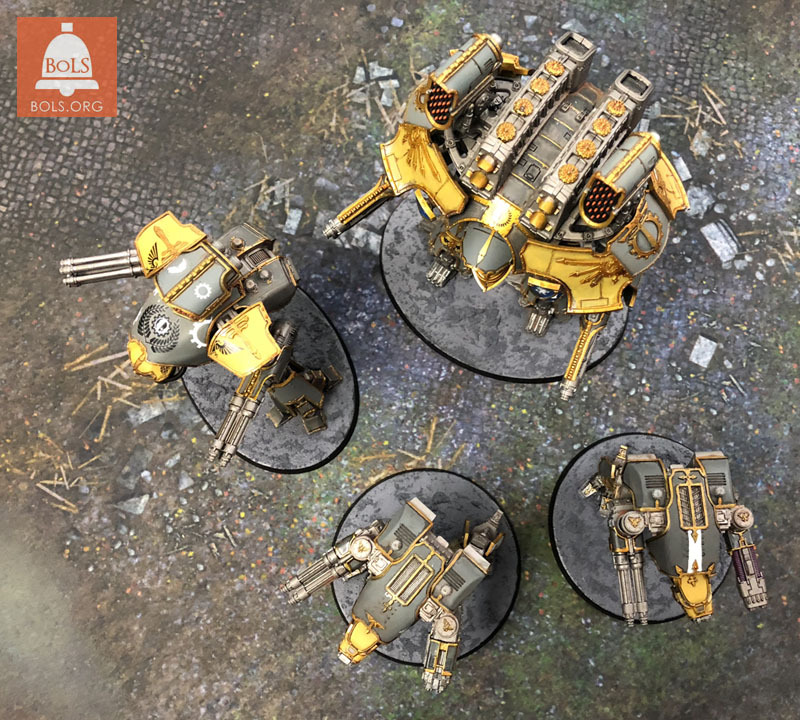 We love Adeptus Titanicus here at BoLS. 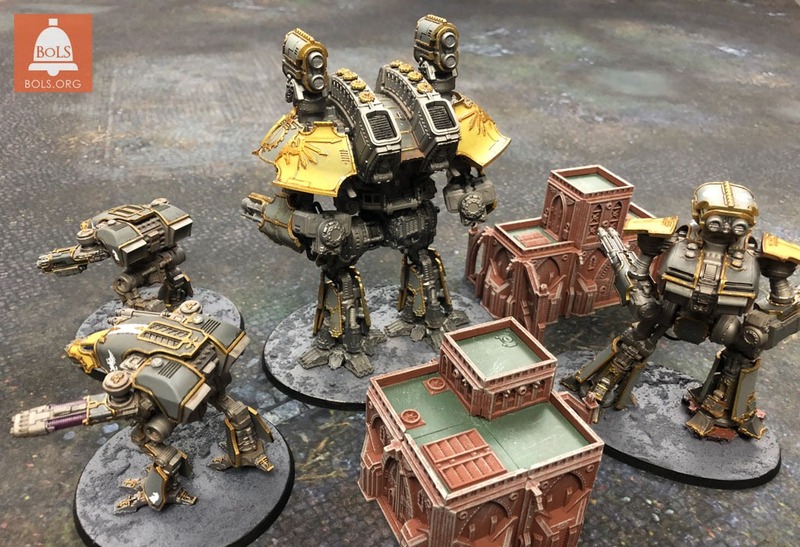 In anticipation of taking the Titans of the Imperium into battle, we have been painting away since the game launched. 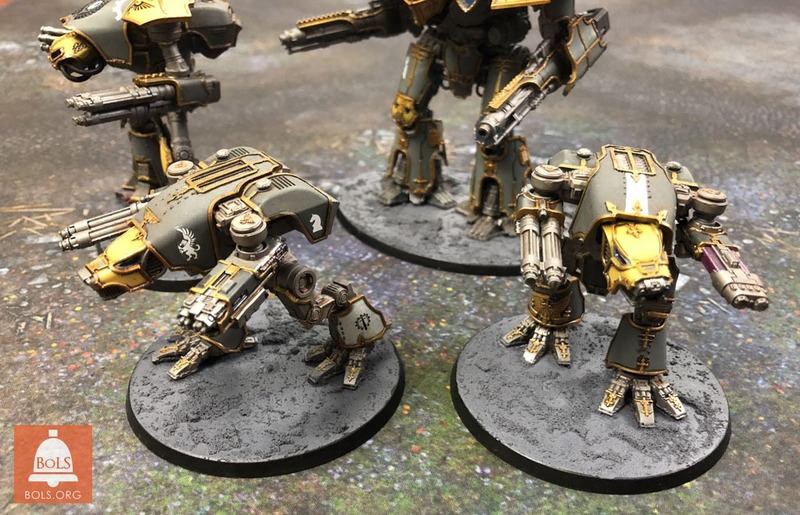 With the Warhound finally up for pre-order it is time to unveil our Loyalist forces, as the Legio Gryphonicus stride into battle. The Legion was founded sometime during the Age of Strife and at the time was the primary tool of power of the pocket empire of Gryphonne IV. The planet itself had been colonized by Tech-priests from Mars. 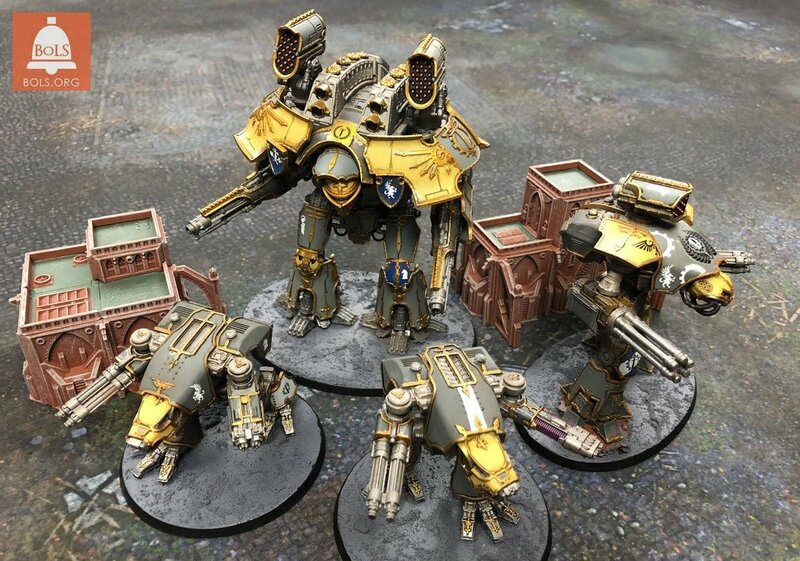 The legion became one of the largest and most well-equipped of the Great Crusade alongside the Legio Mortis, Legio Destructor, Legio Crucius and Legio Magna. It gained many battle-honours, most notably in the Rangdan Genocide and Ullanor Crusade. 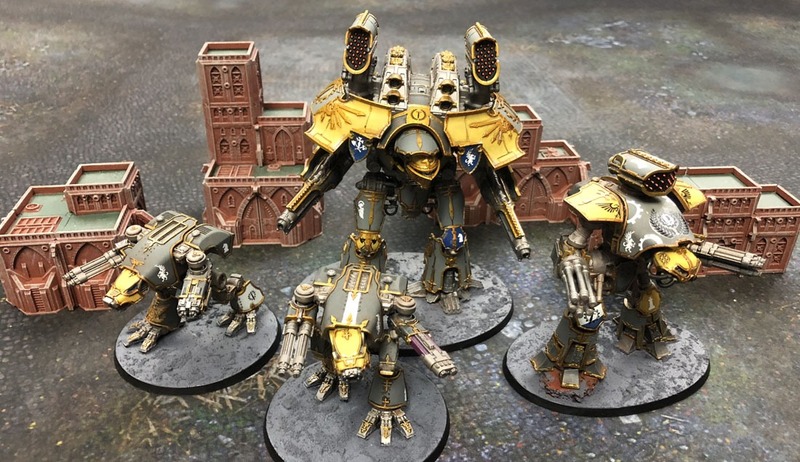 When the Horus Heresy broke out, the Legion remained true to the Emperor. However before the rebellion Horus had foreseen this decision and scattered the Legion across the Galaxy under the pretense of their presence being necessary for many smaller campaigns. Warzones included the Ruin of Maedran, Battle of Molech and First Battle of Paramar. 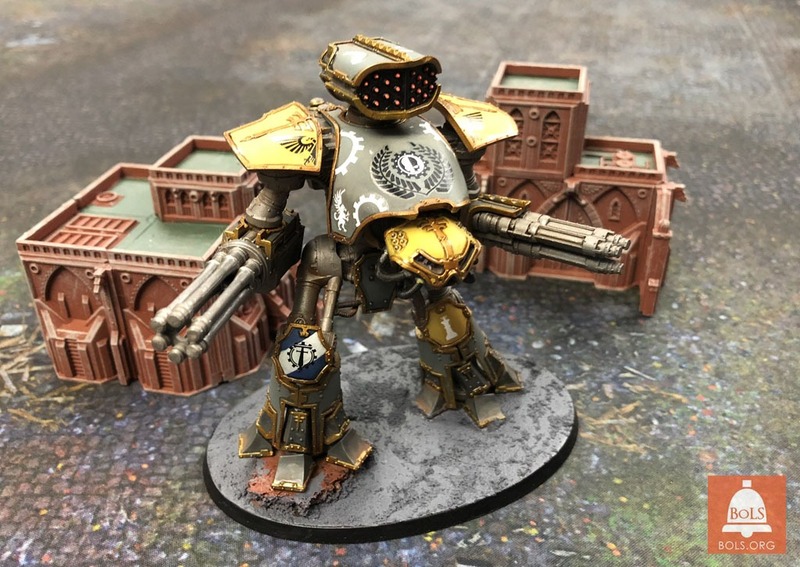 Throughout the war, the Legio Gryphonicus built a fierce hatred against the Legio Mortis. However the Legion suffered a catastrophic defeat in 997.M41 when its Forge World of Gryphonne IV was overrun by Hive Fleet Leviathan. During the battle, the majority of the Legion was torn to pieces by swarms of Tyranid Hierophants and Tyrannofexes. 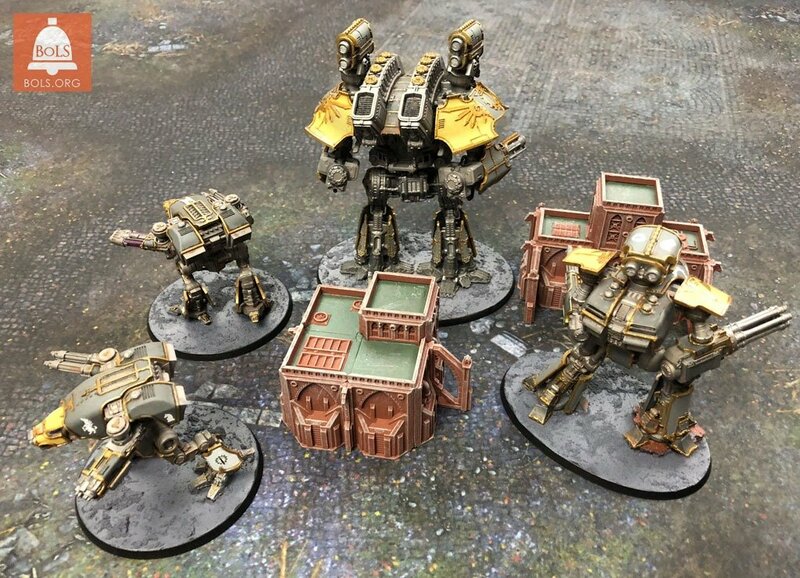 However a portion of the Legion survived the tragedy and was able to provide a total of eight Battle Titans to the Betalis Campaign against the Eldar. 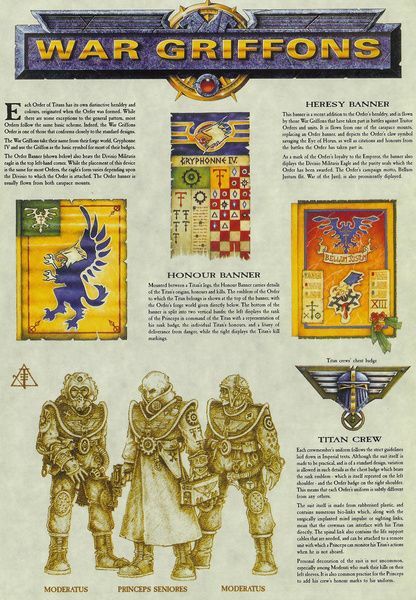 Some of its surviving Titans also took part in the defense of Cadia during the Thirteenth Black Crusade. 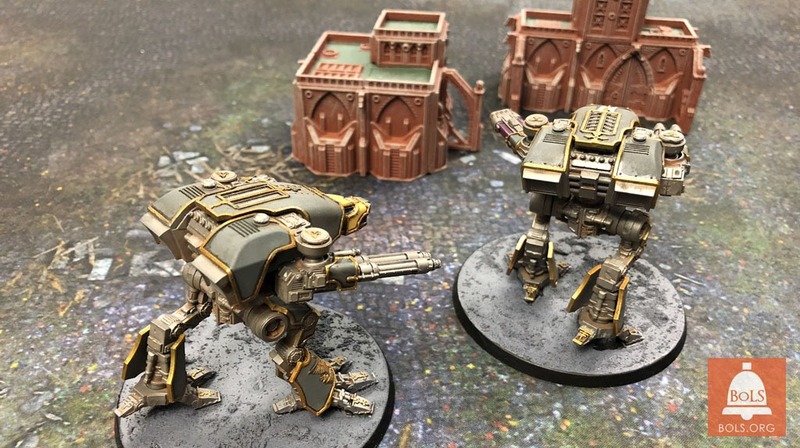 The Fortress World was destroyed in that conflict, but the final fate of the Legio’s Titans is unknown. 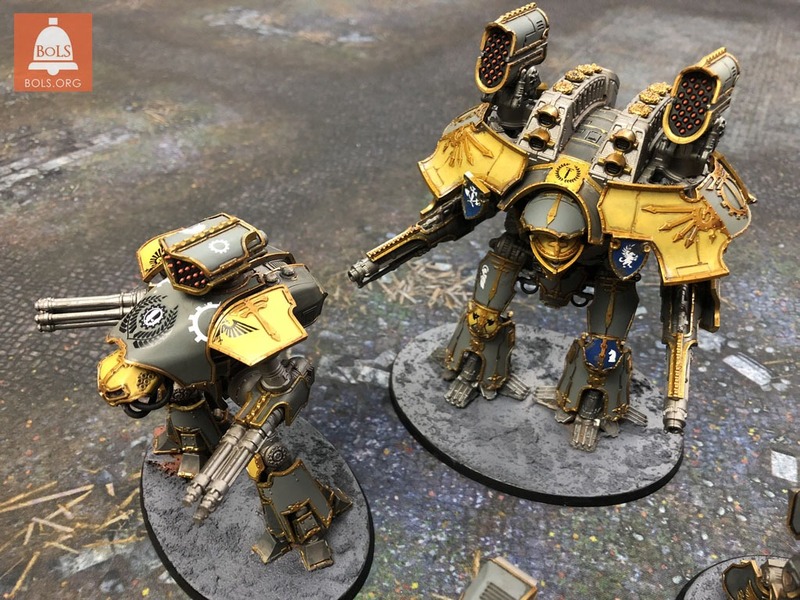 Yellow Panels– Averland Sunset lined with Agrax, highlighted with P3 Heartfire. Chassis– Leadbelcher washed in Nuln Oil, drybrushed Leadbelcher. 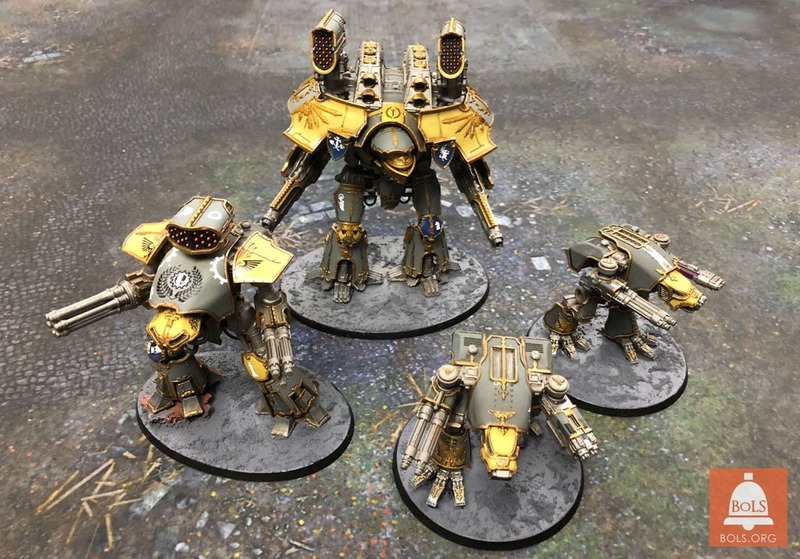 Golden Trim– Retributor Gold washed with Reikland, highlighted with Replicator. ~ Happy painting my fellow Princeps!